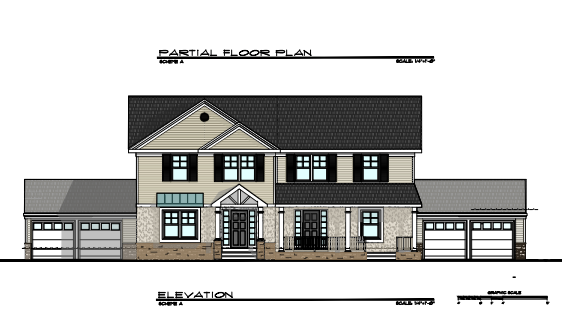 A plan to construct three duplexes off Route 206 near Birch Avenue was withdrawn after a hearing at Princeton’s Zoning Board on Wednesday night. The proposal from West Windsor Real Estate was for six private residences arranged as three duplexes, at 176-188 Bayard Lane. The homes would have been two-stories, with three bedrooms each. But the proposal got a cool reception from the members of the Zoning Board, and was strongly criticized by neighbors. The site is on the western side of Route 206, that is, within Princeton’s ‘Western Section’. The zoning in the area allows for three single-family residences. Instead of building three homes however, the plan proposed three buildings, each one of which would be no bigger than there permitted single-family homes, but would contain two duplex units each. The potential advantage of the smaller units would be to make homes that would be affordable to a greater number of people. The developer met with Princeton’s Site Plan Review Advisory Board three times, and made numerous improvements based on their recommendations, including consolidating vehicular access to the homes into just one entry/exit off Route 206. But a number of neighbors from the adjoining area were present at the meeting – and they had hired their own lawyer to contest the proposal. Members of the zoning board also gave the proposal a frosty reception, arguing that that ‘the character of the neighborhood would not be enhanced by multi-family units’. They rejected the argument that the site was distinct from the adjoining neighborhood, despite the presence of gas stations and service areas across the road. Instead, members of the zoning board said that the plan would ‘interrupt’ a single-family neighborhood that was an ‘oasis’. Neighbors from the Wilson Road area subsequently lined up to oppose the plan, offering a wide range of concerns, from ‘changing the character of the neighborhood’, to the possibility of an increased risk of mosquito-borne diseases. Another local couple began their testimony with “We’ve got 8 potential points to raise for the board”. Before the Board could hear them all, the developer pulled the application without a final vote. The developer attorney said they were doing so out of respect for the neighbors, having heard their concerns and objections. Instead they will come back with an application for just three single-family homes, as the zoning allows. From an affordability standpoint, the result is that the land will be dedicated for higher net-worth households, who can afford larger single-family units. The average home in Princeton currently sells for over $1 million. This entry was posted in Affordability, Density, Princeton, Real estate, Smart Growth, Zoning and tagged Princeton, Zoning. Bookmark the permalink.